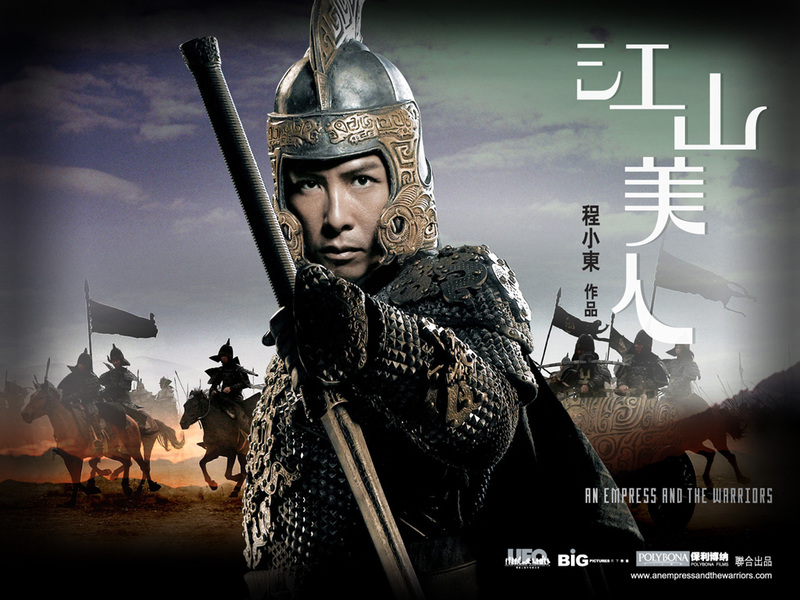 An Empress and the Warriors is set during China’s Sixteen Kingdoms period (304 to 439 AD) and takes place in the state of Yan who are constantly at war with the Zhao. The story revolves around Yan Fei’er and three warriors. This film is a lot of fun so that is all I’m going to tell you about the plot. The production value is really good, the costumes are really amazingly detailed, and the locations are very pleasant to view. I think the one thing I really noticed about the film was Donnie Yen actually tried to act, and he didn’t do that bad of a job! Don’t get me wrong, I’m a HUGE Donnie Yen fan, but he is an action star, and an extremely talented action star. So it was nice to see him express more than just rage or stone face. It made me like his character a bit more. 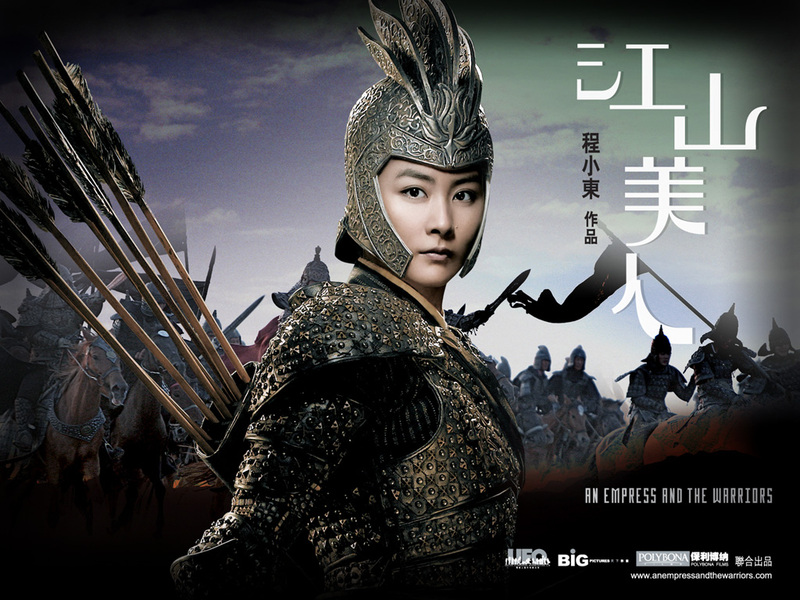 Kelly Chen (Infernal Affairs 1 & 2) is Princess come Empress Yan Fei’er. I found Kelly to be a good actress considering she is not an action star, she did quiet well! Donnie Yen (Iron Monkey, Butterfly and Sword, Hero, IP Man) as Murong Xuehu. 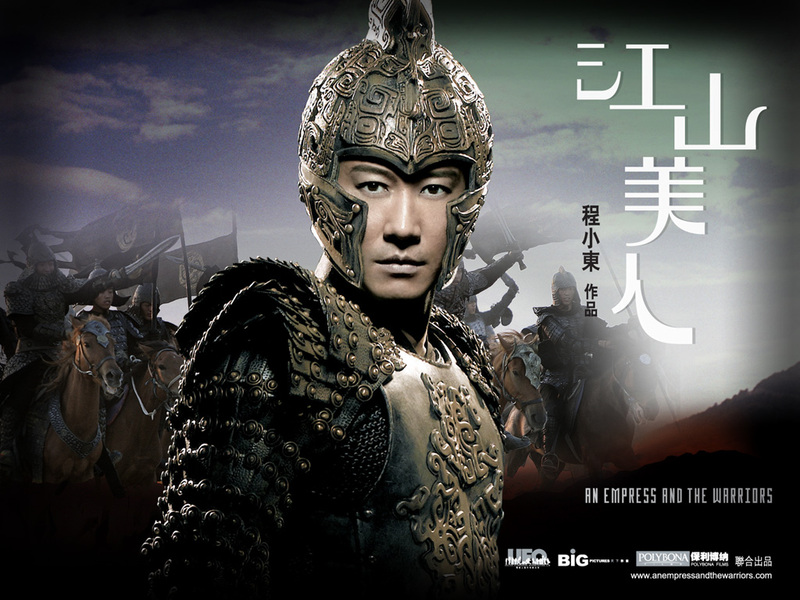 Leon Lai (Seven Swords, White Vengence, Bodyguards and Assassins) as Duan Lanquan. I like Leon Lai as an actor and he isn’t too bad with action scenes either. 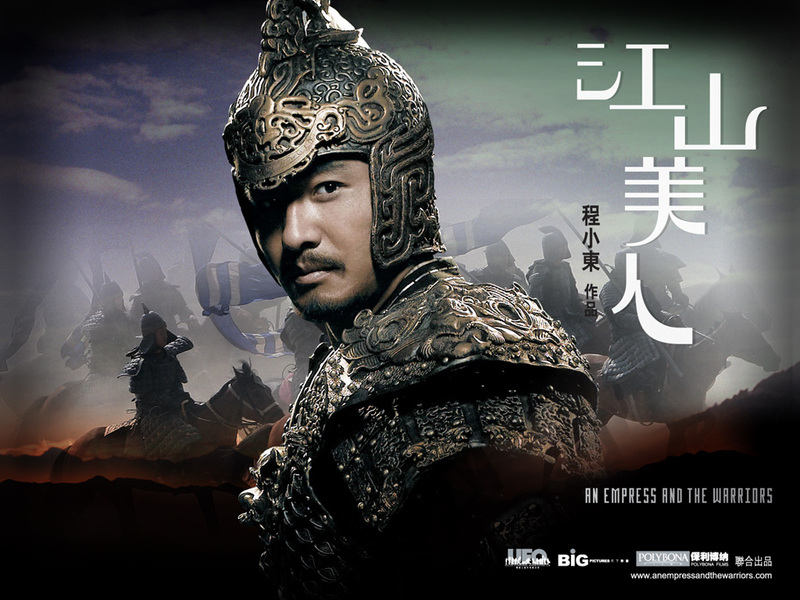 Guo Xiaodong (True Legend, Reign of Assassins, The Warlords) as Yan Huba. I’ve only seen him in three other films and I hope to see more of him. The movie is very enjoyable to watch, most reviews that I’ve read (and did not include in the links below) complained that it wasn’t on the scale of Hero or Crouching Tiger, Hidden Dragon which is ridiculous. That would be like comparing Rambo First Blood to Platoon. One is an action film that you sit down and enjoy the other is a masterpiece of cinematography. If you like chinese martial arts or wuxia films you will enjoy An Empress and the Warriors. It covers action, betrayal and romance, what more could you want? This entry was posted in Historical, Martial Arts and tagged Donnie Yen, Historical, Leon Lai, Martial Arts, Wuxia. Bookmark the permalink.